The triathlon season is almost upon us! Skipton is but three weeks away and the World Series has already kicked off in warmer climates. 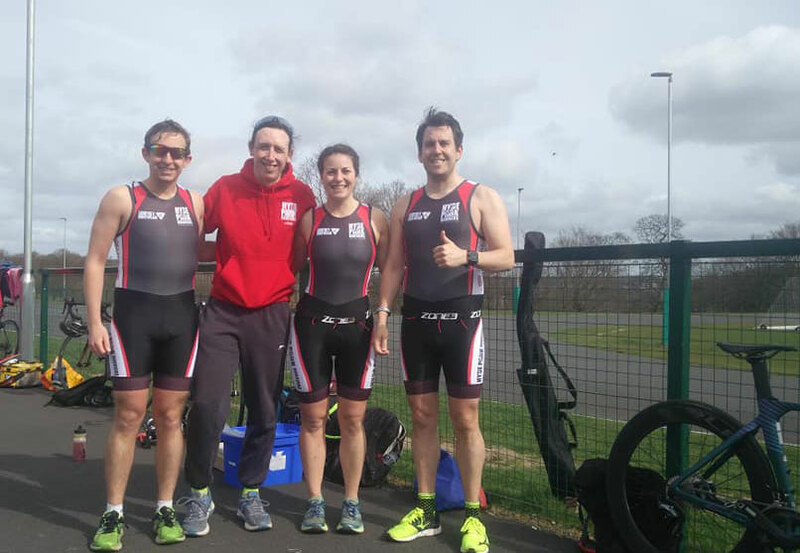 In preparation, Leeds Bradford Triathlon Club hosted a duathlon event at the Brownlee Centre that was upon to other clubs. Myself, Jack, Graeme and Naomi took part from Hyde Park Harriers. Everyone else has a club tri suit but I did at least manage to full on my HPH hoodie before we took the group photo. I was pretty happy with that. It represents a pace of under five minutes per kilometre in the run and an average speed of just under 30 kph on the bike. 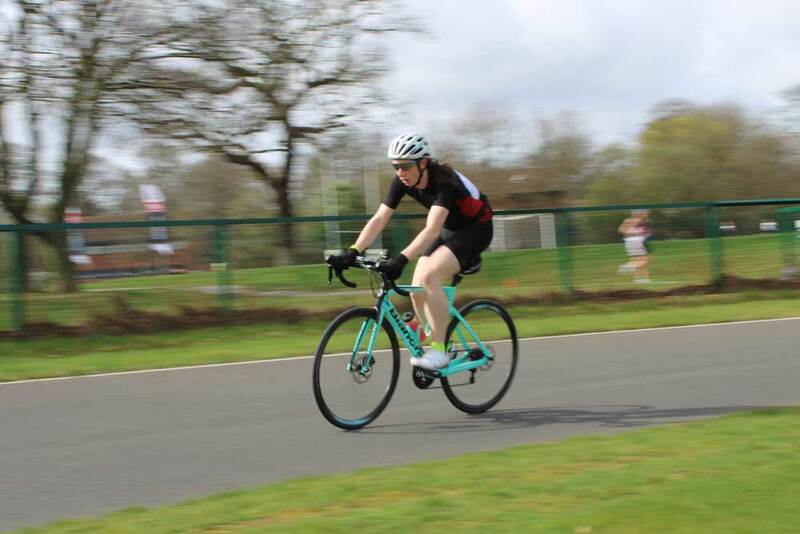 It would have been nice to be faster on the bike, but the course has its technical bits (for a rider of my skills, lol) and I wasn’t pushing everything I had, so I’ll take it.